The Mummers' Play is a folk tale developed from a pre-Christian fertility rite or pagan ritual and was popular throughout England in various forms and with different names. It has been speculated that the theme of the play is the continuing cycle of death and resurrection. Thus it is part of the struggle of good against the forces of evil, and helps to ensure that spring follows a severe winter - something that should not be taken for granted. The actual significance of the individual characters has largely been lost and can only be re-understood by those taking part over many years. Alternatively, recent research suggests that it is more likely to have been based on eighteenth century chapbook plays as a way of extorting funds from the rich farmers and landowners. Perish the thought! 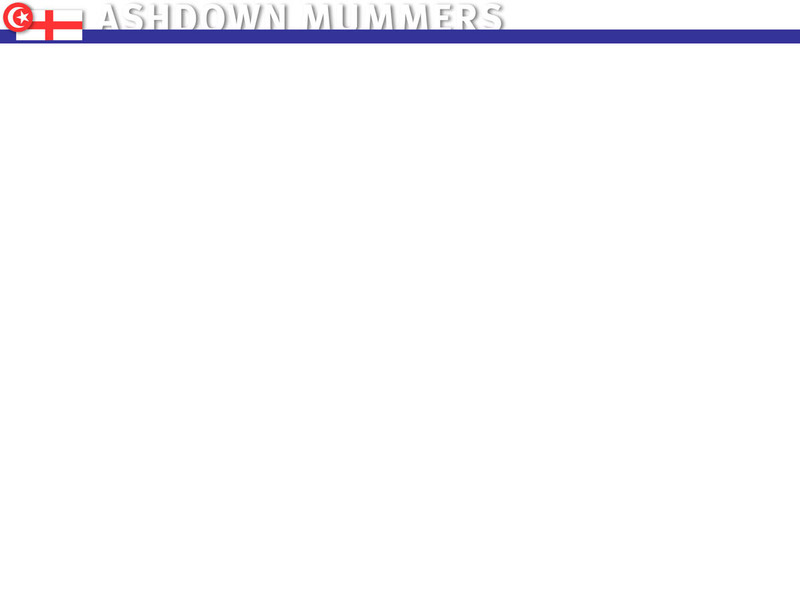 The word Mummers refers to a group who are Mumming, and this didn't always involve a play. The word may come from the Greek or old German meaning a mask, the wearing of which has been popular at various times in history. Someone who was locally well-known could wear a mask to signify that a was now something 'different', to act out the ritual, much in the same way as a man will don vestments to become a priest. It is also very useful when engaging in crime and disorder, which lead to some towns banning The Mummers. The Mummers' Play has a strong history and presence in Sussex, often also known as Tipteerers. 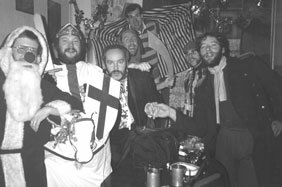 This particular version of the Mummers' Play was painstakingly recovered from village archives in the 1970s and has been performed every Christmastide since 1973.